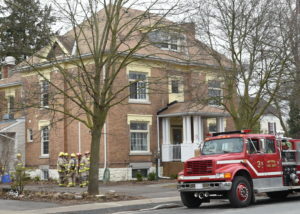 The Aylmer Retirement Residence at 258 Talbot St. E. was temporarily evacuated Friday afternoon, after a small electrical fire in the basement. Aylmer Police Chief Zvonko Horvat said residents were moved to a shelter at nearby St. Paul’s United Church. The incident appeared to cause little actual damage, but could have posed a much greater hazard had the smouldering fire spread, he said.